Many reasons speak for us. The modern 3-star superior Quality Hotel Bielefeld stands in the shadow of a majestic chestnut tree, at the edge of Bielefeld city centre. 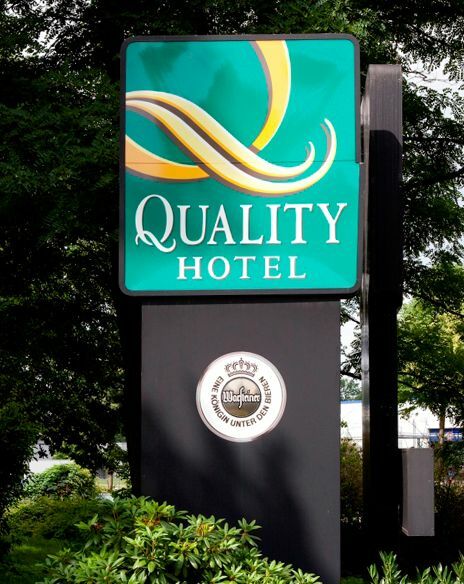 It is a business and conference hotel in a peaceful location with ideal transport links, close to the A2 and A33 autobahns in the Sennestadt district. We're easy to find and you can park in the CCTV-monitored car park in front of the hotel entrance. The hotel's individuality, our friendly hospitality and the sophisticated surroundings will ensure that your stay with us is a pleasant one. You will find peace and comfort wherever you sleep, be it in the comfortable rooms in our main building or in our spacious apartment building 'No. 5'. Our conscientious team is happy to attend to your needs, regardless of whether your trip is private or for business. We also offer a first-rate events service. We take just as much care organising your seminars, meetings and conferences as we do for anniversaries, birthday parties and other family or business occasions and events. 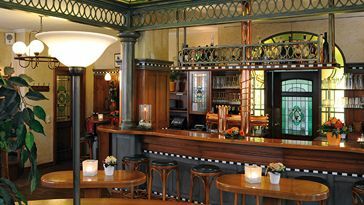 The hotel's 'Eickelmann's' restaurant, run by Wilma and Wolfgang Reklat, is available for private parties and events with its rustic bar. 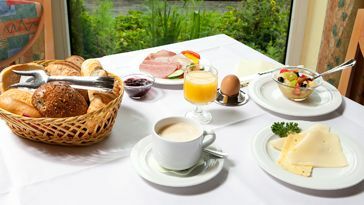 We look forward to welcoming you and wish you a pleasant stay at the Quality Hotel Bielefeld-Sennestadt. The large terrace of our restaurant, 'Eickelmann's', is also part of our outdoor facilities. When the weather isn’t so great you can relax properly with a beer in the bistro under a beautiful art nouveau glass roof or enjoy the elegant candlelit surroundings in the restaurant. 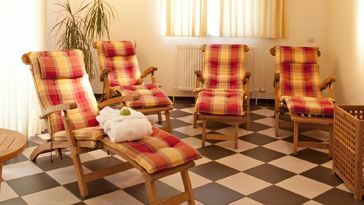 Whether you are a business or private guest at Quality Hotel Bielefeld, you can recover your strength and energy in our small but well-equipped gym or over a game of table tennis. If you want to sweat without having to work it up, you are very welcome to use our in-house sauna.